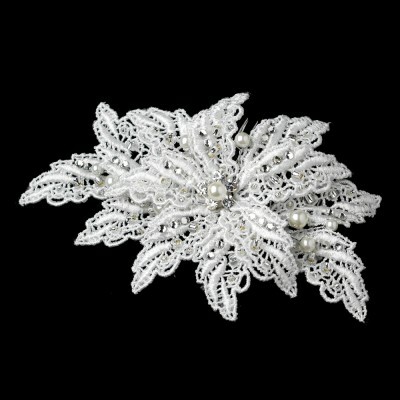 Perfect to match with lace and vintage-inspired wedding dresses. 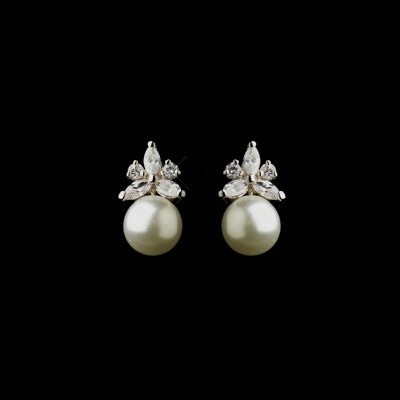 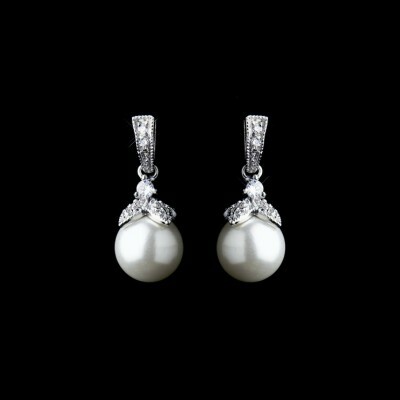 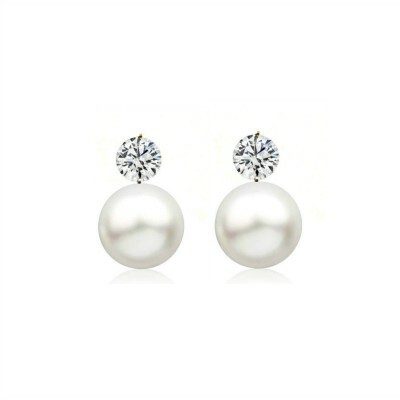 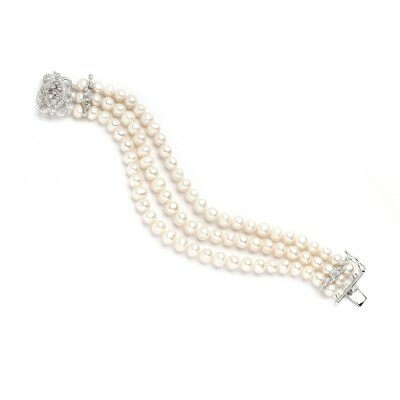 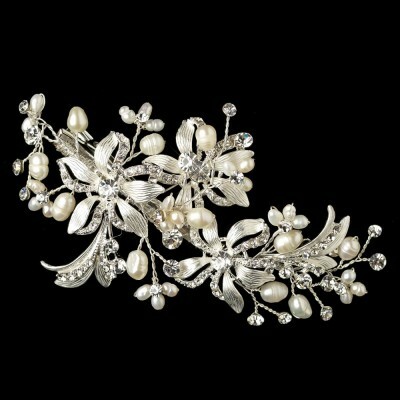 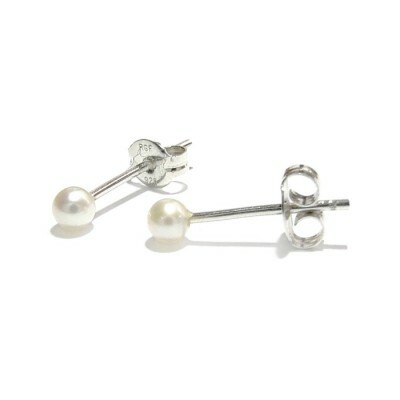 Encrusted with hundreds of genuine natural freshwater pearls + with glittering Swarovski crystals. 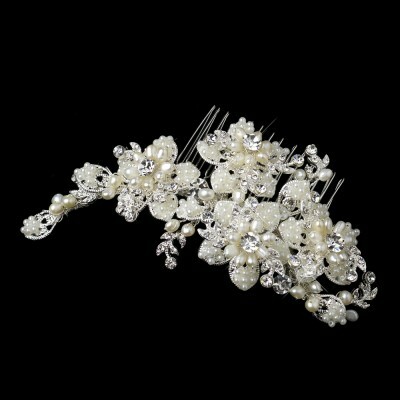 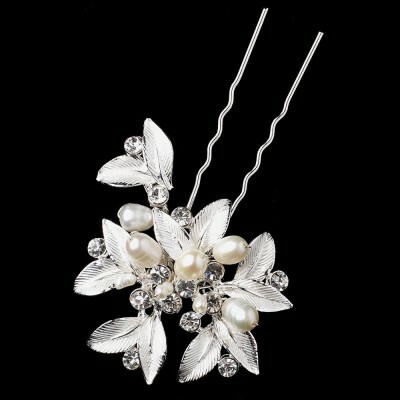 The mixture of Freshwater and ivory seed bead pearls are set into a floral design with several branches which gently extend outward. 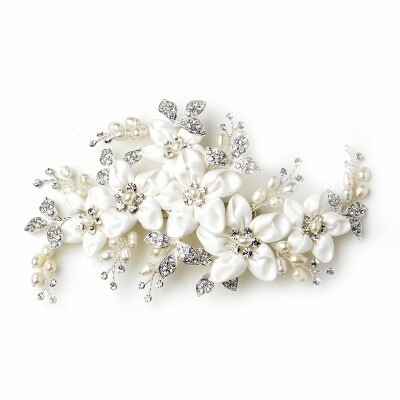 The Lily bridal headpiece is extremely versatile and flattering to any hairstyle. 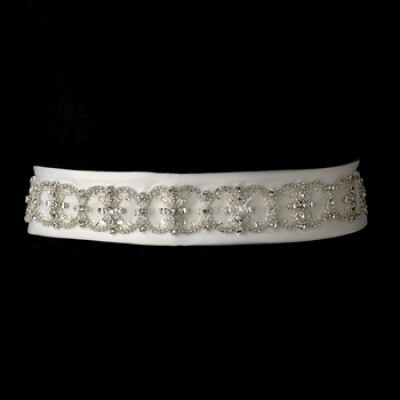 Measures approx 11 cms end to end x 5.5 cms width. 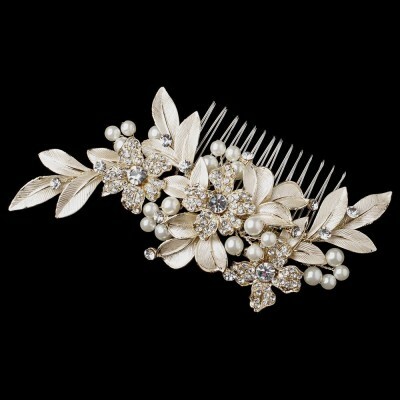 Contact us to have real life pictures of this piece texted to your phone!